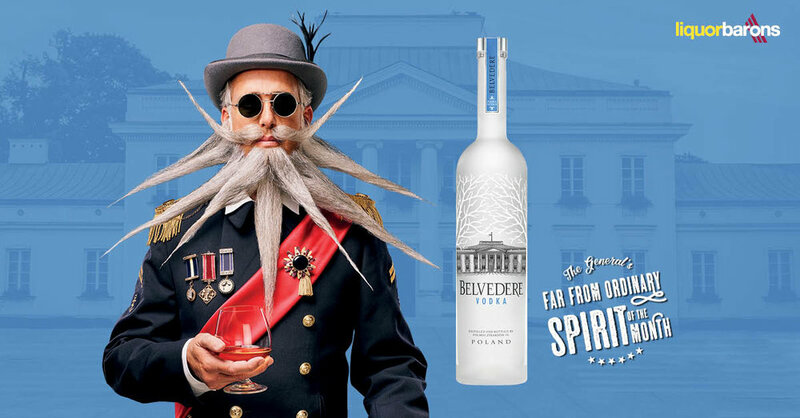 Belvedere Vodka is the proud product of over 600 years of Polish vodka making tradition. This spirit’s native distillery was established in 1910 in the heart of central Poland. With some of the world’s most srict production regulations, there are no shortcuts in making Polish Vodka. Every step of production must occur on Polish soil with locally sourced ingredients needing to be raw and with zero additives. The term ‘Belvedere’ which means “beautiful to see” is named after Belweder Palace in Warsaw. You can find the palace adorning every bottle’s logo as a reminder of the brand’s heritage. Belvedere Vodka are also an incredibly socially responsible brand with active campaigns accomplishing major change such as providing access to over 30,000 HIV positive women with lifesaving treatment preventing the disease spreading to their children. 50 per cent of profits from limited edition bottles over the past years have gone towards this cause and we are now, closer than ever to seeing the first AIDS-free Generation. Through an uncompromising passion and dedication to their craft, Belvedere Vodka is currently the most awarded luxury vodka in the international market. The spirit has been recognised by Vodka Masters, the Fifty Best’s Vodka Awards and the International Sprits Challenge, who awarded the the spirit – Vodka Producer of the Year for the last three years consistently. Belvedere Vodka is crafted exclusively from superior Polish Dankowskie rye and artesian water sourced from Belvedere’s own purified wells. The spirit contains absolutely no additives including sugar and glycerine, and is gluten-free in accordance with the strict requirements of Polska Vodka. Always authentic and never artificial, the vodka itself is quadruple-distilled to create a perfect balance and harmony between character and purity with the dilution of purified water being essential in enabling the character of the rye to shine through. Belvedere Vodka is perfect to enjoy on the rocks, in a martini or as the foundation for any cocktail. This spirit represents the pinnacle of a long held vodka making tradition.